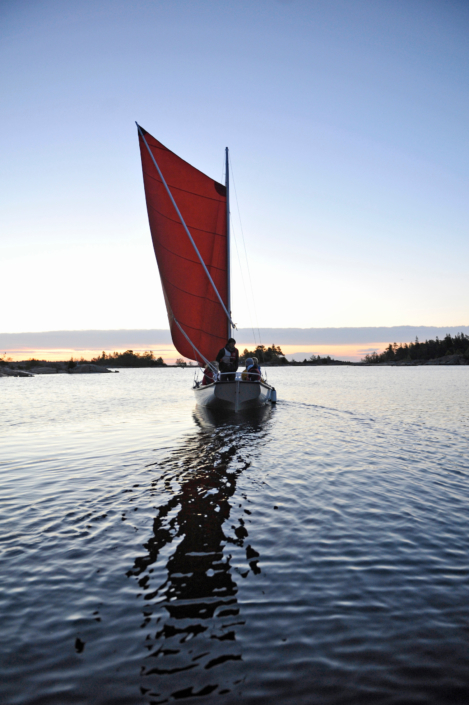 Fladan, our small boat harbour, offers various possibilities to get out on the water. We have a wide variety of sailing boats: from small Optimists (one-person dinghies) and traditional sailing boats of fibreglass, to one beautiful wooden sailing boat, seating six or more people. 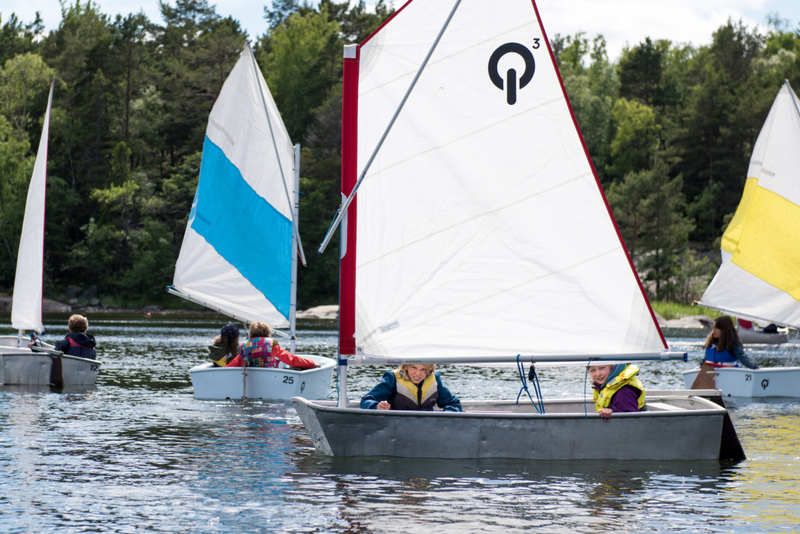 The sailing instructors will teach the beginners how different winds affect the sail, and explain to the more experienced sailors about the waters surrounding Vässarö. 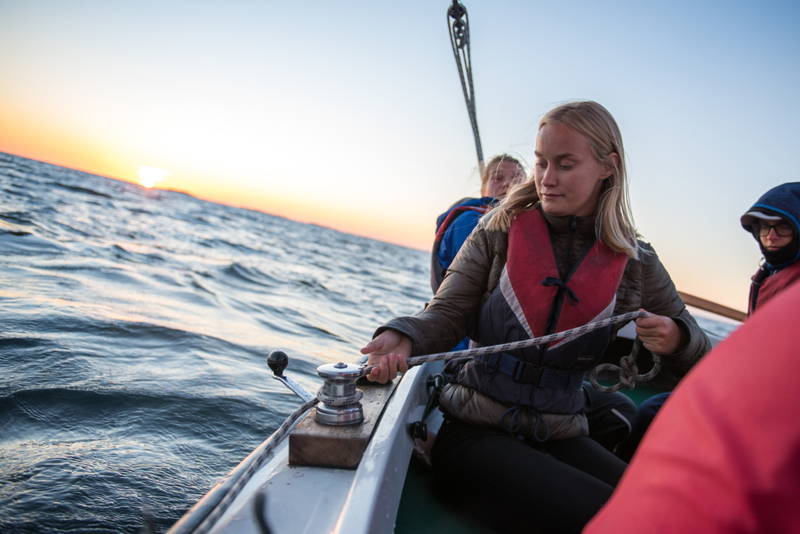 If you wish, the instructor can do the sailing for you and take you further out in to the archipelago. The group leader together with the Fladanstaff determines the best activity for each group, depending on age, main interest, experience and weather. We would like to point out that there is a rule whereby you must be able to swim 200 metres if you wish to go out a boat beyond the actual bay of Fladan. There are 20 Canadian canoes in our ”marina”. You can book these for half-day tours, full day tours or for an overnight “hike” to one of the nearby islands. The instructors will teach you the techniques. 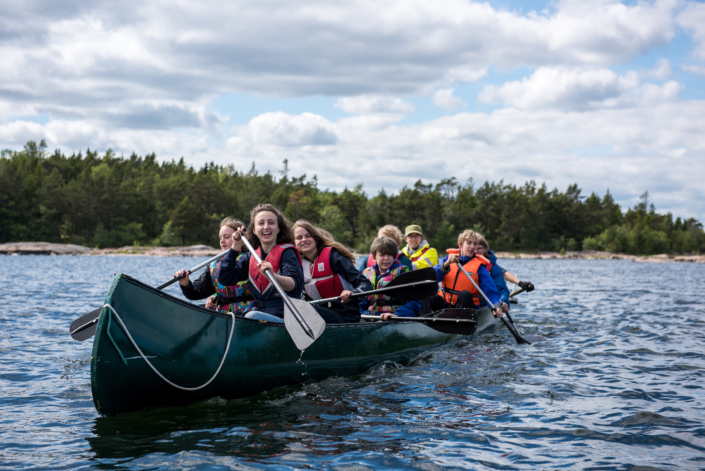 As this is no pond, the instructors will also explain the specialities of canoeing at sea. 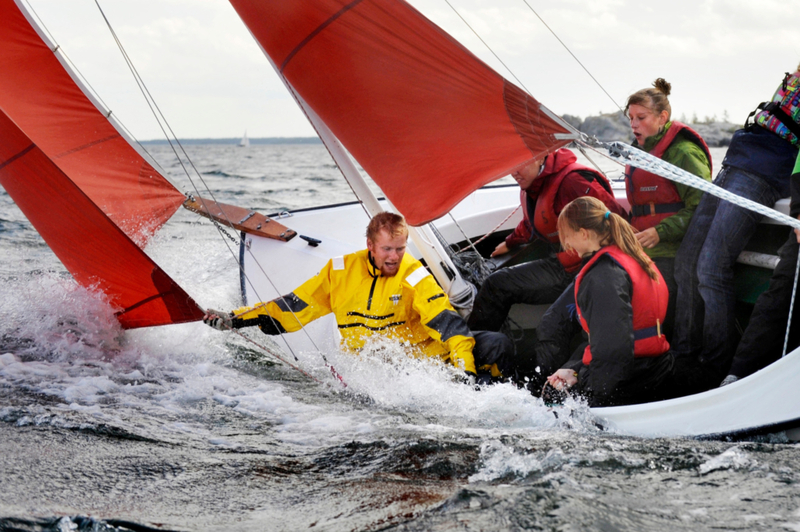 If the winds are unusually strong or if the weather is otherwise unstable, the instructors may decide not to let anyone leave Fladan in canoes or sailing boats. Usually, however, the canoes are used together with the sailing boats, for instance when there are scouts who do not fulfil the requirement of being able to swim 200 metres (see above). Duration of any Fladan-based activity is 2 to 2½ hr. On the booking form you will find it possible to make a reservation for sailing and canoeing. Fladan, our small boat harbour, can have several different groups visiting at the same time, which is why it is important that groups try to specify which boats they would like and when. When you plan your Fladan-activities, it might be helpful to know that the Optimists (20) carry one person per boat, other boats (8) carry from 5 to 8 people and one of our boats carries a maximum of 10 people (a beautiful old wooden boat!). It is also possible to combine canoeing and sailing: for instance, let half the group sail for one hour whiles the rest canoe and then switch. Vässarö provides life-vests for all participants. 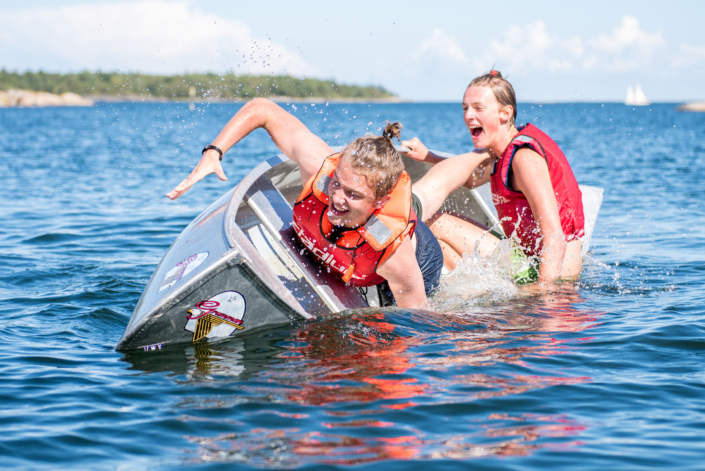 It is mandatory to wear the life-vest at all times in the boats and on the jetty; leaders, scouts and staff alike!